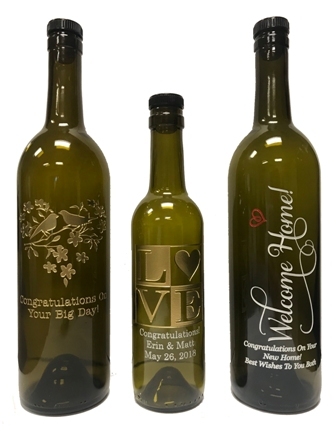 Thank your friends, clients, and colleagues with this unique personalized bottle! Each bottle is etched and hand-painted by skilled artisans. This commemorative bottle can be enjoyed for many years to come. Choose your favorite olive oil or vinegar. The bottle can be refilled in any of our We Olive locations (price per ounce may vary per location). Be sure to bring your bottle back clean and dry. Hand-wash only.